Solarbayer high quality heat pumps create a cozy warmth even with sub-zero temperatures with maximum comfort and highest cost-effectiveness. Use the cost-saving warmth from the air. 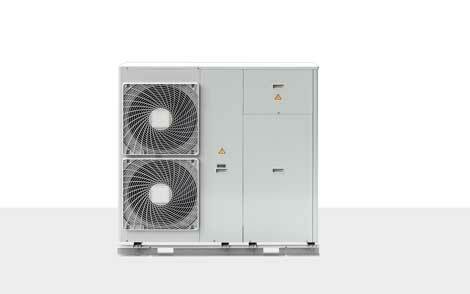 Air/Water heat pumps AeroMono with inverter technology are compact outdoor units, available with a nominal heat output of 11 and 16 kW (for heating only). The chilled water circuit is factory-made ready installed and tested. This provides an easy and fast installing. Planning aid to dimensioning heat pumps, including examples to purpose the working mode of the heat pumpe depending on the temperatures and the heating requirement. Energy independence by self-sufficiency with heat and electricity is a possible way to get a zero energy or plus-energy home home. Figure out of how easy it can be, to provide your home with future proofed, economical and environment friendly energy. Technique easy explained - experience in this product movie the function and operating mode of Solarbayer heat pumps and find out how efficient and economical those work.